These rooms are specially designed to meet the requirements of families. They are very comfortable enabling you to start a whole new “next day” with good mind set. Calm and quiet surrounding with the gentle touch of nature can be a great relief for you and your family members’ tiredness. These air-conditioned rooms feature pool views, a seating area and a desk. They offer a microwave, fridge, toaster and tea and coffee making facilities. The bathroom has free toiletries assuring a comfortable stay. As a courtesy, we offer FREE CONTINENTAL BREAKFAST for family room guests. Considering the needs of modern society, we offer wireless internet for you to stay connected all the time. 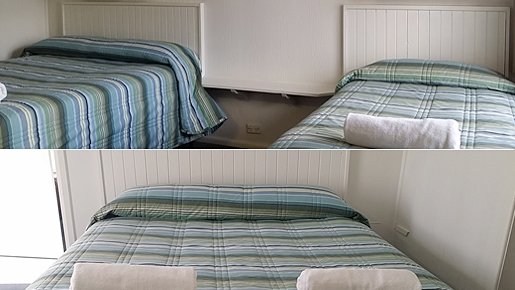 All rooms have one queen size and two single beds as standard configuration.